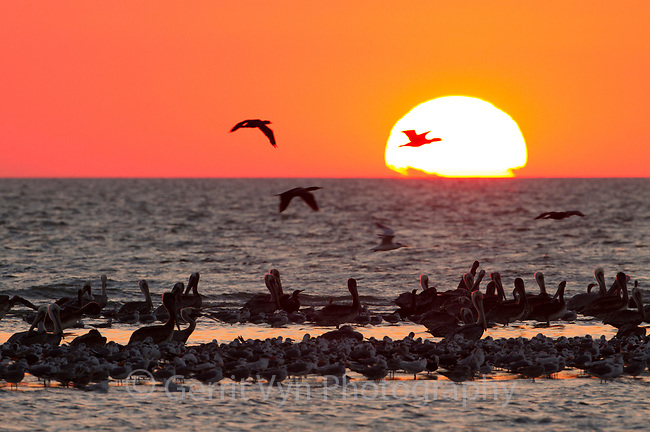 Sunset and roosting birds at Raccoon Island, a barrier island off the Louisana coast. This island is a critical location for nesting and migratoy birds and is rapdily eroding due to a lack of sediment caused by the channelization of the Mississippi River. Isles Dernieres, Terrebonne Parish, Louisiana. October.